Northaven has held the contract to manage the freight and parcel delivery within the Inverell area for Toll Ipec for the last 32 years. Northaven employs one staff member and all employees with disabilities on a rotational basis who receive, sort and deliver freight on a daily basis. 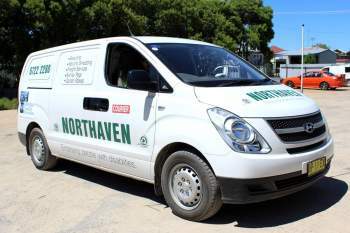 Northaven has the advantage of being able to handle large volumes of freight at any one time as well as having a practical and large logistical infrastructure that includes suitable vehicles for delivery. Good management and an established reputation with customers for timely disbursement and professionalism allows Northaven to remain a strong competitor in the market. Revenue raised from this business stream is reinvested back into freight management to cover operational costs, wages and purchasing or updating of equipment.